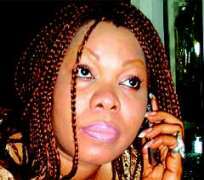 Chinyere Wilfred is a very popular name in the Nigerian movie industry. The star actress who have been away for sometime was spotted at the Face of Nollywood event in Abuja last weekend. In this interview with Bridget Amaraegbu, she spoke on her trip in America and the future of Nollywood come 2009 and more. Welcome back. You've been away for a very long time, how was your trip? My trip was fine. All work and no play makes jack a dull boy, so I went to rest. I've been away for just two months. I went to America for a film festival and from there I took a break. Now that you are back to Naija, what's next on the line? I am back and as usual, the next thing to do is go back to location. I just got a script as I came back. So immediately I leave Abuja, I'm going back to my job. While you were away, did you miss your fans? Yes I missed them so much and from the mails they've been sending asking to know where I am, when they'll see my new work, I'm sure they missed me too. 2008 is gradually fading out, will you say Nollywood has really done well? Nollywood has done very well this year and I believe it is going somewhere. I know that soonest Nollywood will get there. What new things are we expecting from Nollywood in 2009, starting with you? 2009 is in the hands of God but I know Nollywood will be better than it has been in 2008. We are expecting lots of goodies all the way in 2009, more films, more challenging roles. From me and Nollywood, well do our best to improve on what we already have on ground. What is your impression about Face of Nollywood Award? I think Face of Nollywood Award is a laudable idea which should continue. Do you think this award is good for the industry? Organising awards is good for Nollywood and any other industry. Giving Award is like appreciating people or organisations for the good work they have done throughout the year, so it's good to show appreciation. Awards also help others to buckle up, work harder so that they too can be appreciated. A lot of people believe that Nollywood is gradually going down, do you share the same idea? Well I don't agree with that. If you go back to the years when we started, you will agree with me that we are not going down at all. Nollywood wasn't like this when we started, at the middle it wasn't this good also and now we are waxing strong. Believe me Nollywood is unfolding into something that people will marvel at, just wait until we get there. From next year Nollywood will blossom into something entirely different from what the viewers already know. Lets go personal a bit, what is your love life like? (Laughing) Excuse me. I'm happily married with kids. Can you share with us how you want to spend your Christmas? Yes, I'll be traveling with my lovely family to my village in Ideato local government area of Imo State. Can you tell us who this lovely husband of yours is? No, he is not an actor so I don't want to talk about him. Hello, young man (One of her kids), how do you feel when you watch your mummy on screen? It depends on what character she is playing. If she is playing a nice character, I feel good and proud of her but if she is playing a wicked character, I'm not happy with her. Why do you get angry when she is playing wicked role? I get angry because when I get to school my friends will be making jest of my mummy that she is wicked woman.